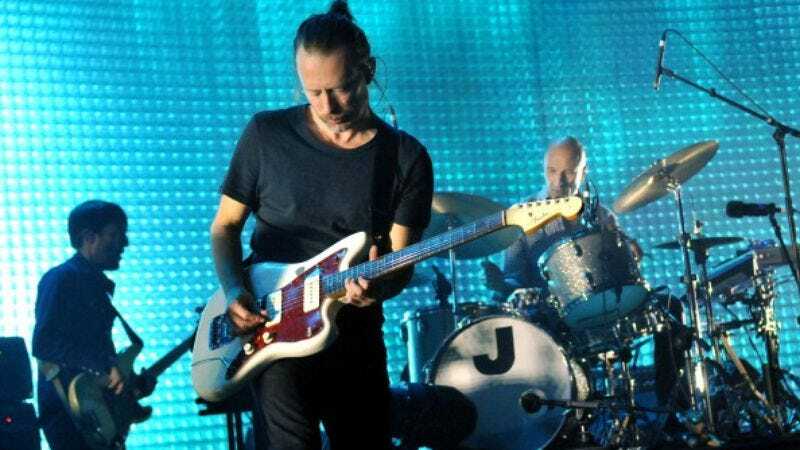 Spotify’s Radiohead offerings have remained incomplete since Thom Yorke and Nigel Godrich called out the music streaming company’s compensation structure as unfair. They went so far as to pull Amok, an album released by their side project Atoms For Peace, from Spotify back in 2013. Yorke even referred to the platform as “the last desperate fart of a dying corpse,” and added injury to insult by letting Apple Music stream all those sweet Radiohead albums. But Yorke appears to have changed his tune, as Consequence Of Sound reports that In Rainbows, an album that had previously been unavailable on Spotify, is currently streaming on the platform. That’s not all—A Moon Shaped Pool will be available on Spotify as of June 17. Consequence Of Sound also cites Music Ally’s report that Spotify had the option of snapping up Radiohead’s latest album upon its release last month. The deal fell through because Radiohead didn’t want Spotify to make the album available to its free users (fair is fair). Now that the band has acquired the rights to its entire discography, it’s in an even better bargaining position, so we can probably expect them to continue to play hardball. Still, it would appear that, just as Paul Dano found a use for Daniel Radcliffe’s gassy cadaver in Swiss Army Man, Yorke has also come to terms with a bloated carcass.